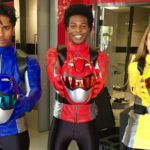 Power Rangers Beast Morphers will be making it’s long awaited debut tomorrow morning(Saturday, March 2nd) at 8:00 AM! We had our first look at the show earlier today, but that’s not stopping the hits from coming. 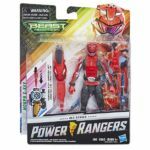 Just now, Hasbro launched a new product page for Power Rangers Beast Morphers toys, which at this moment appears to be only viewable for those residing in Canada and some parts of the U.S. 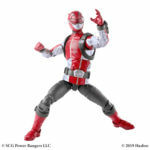 The page released official images for four exciting new toys: 6-inch action figures for the Beast Bots Cruise and Smash. Both of whom fans of Tokumei Sentai Gobuster will know as Cheeda Nick and Gorisaki Banana respectively in addition to a 12-inch action figure of Cybevillian Blaze and the Micro Morphers Series 1 of blind packed action figures. 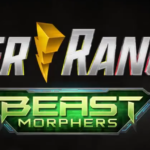 Full Power Rangers Beast Morphers Promo Released Online! 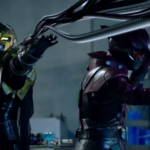 At last an official promotional trailer for the new season of Power Rangers is available for viewing! 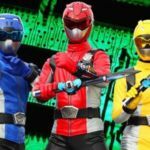 Power Rangers Beast Morphers officially starts ONE WEEK FROM TODAY– Saturday March 2 2019 at a new time slot- 8AM EST on Nickeodeon! The booth at Hasbro‘s Power Rangers presentation was gorgeous. 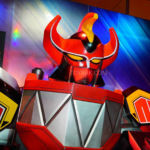 Included was the original Megazord suit filmed during Zyuranger. No – we don’t know if this is the one that was used in the Gokaiger movie, was stored at the Toei Museum, or what – only that it was shipped in from Japan. Enjoy that and the fan-favorite helmet display for each year of Power Rangers. 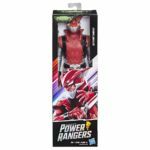 A brand new offering from Hasbro and Power Rangers this year will be the Micro Morphers, small collectible figures featuring some of your favorite characters. Check out all the pictures by clicking the title of the story.